Symbolically, this stamp is stating that Martin Luther’s condemned 95 theses are correct as well as the Augsburg Confession — that Our Lord is in agreement with the two heresiarchs, Luther and Melanchton. To have the nerve to replace the Blessed Mother and St. John at the foot of the Cross with the two heresiarchs takes chutzpah! These are people who denied the presence of Our Lord’s Body and Blood for Melanchthon said, “Christ instituted the Eucharist as a memorial of His Passion. 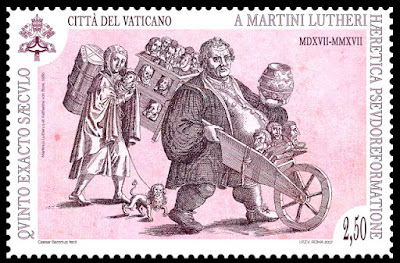 To adore It is therefore idolatry” and Luther, “It is, therefore, clearly erroneous and impious to offer or apply the merits of the Mass for sins, or the reparation thereof, or for the deceased. 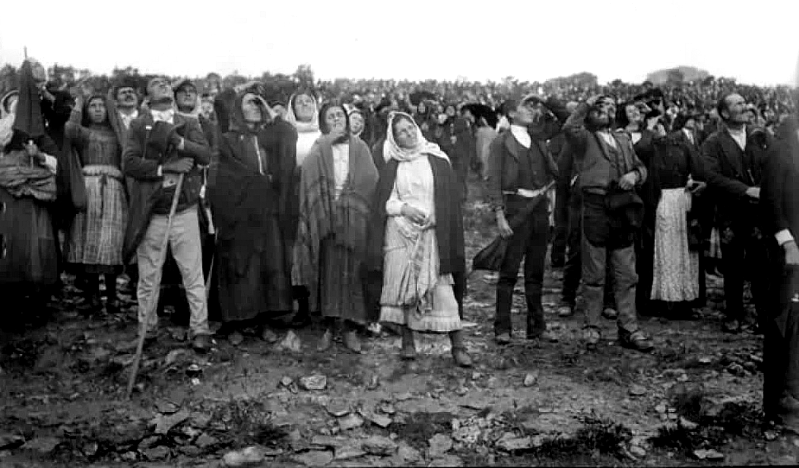 Mass is offered by God to man, and not by man to God.” It also a sign that these Protestants and the Revolt they led away from the Church is part of the sacrifice of the Cross! And to put Wittenberg, the infamous place where Luther’s movement started, in the background is another mocking jest that only the wicked would take delight in! 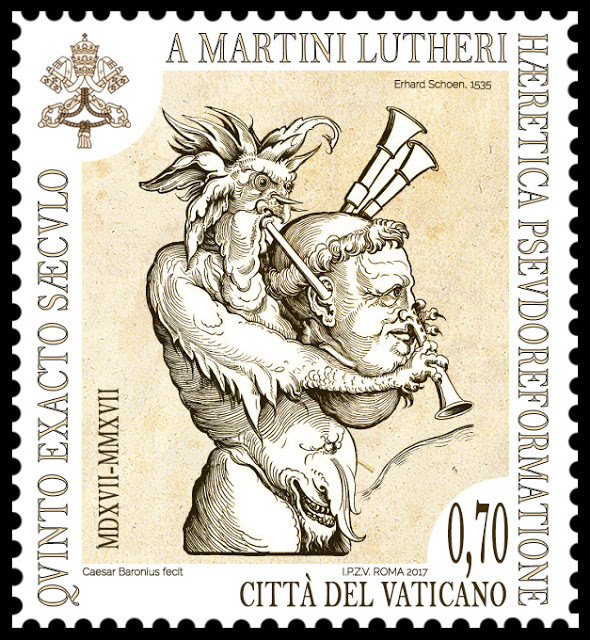 Simultaneously with the issue of the stamp many Novus Ordo churches had joint services with Lutherans marking the anniversary. Below is video of one of these services in the Cathedral of St. Michael and St. Gudula in Brussels, Belgium which was interrupted by a few young Catholics who were saying a Rosary to Our Lady because of the atrocious joint celebration taking place. Notice the police come and cart them away one by one. Who called the police? 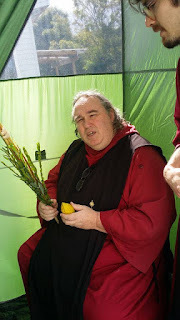 One of the Cathedral’s prelates! When Francis told the youth to “make a mess” and cause “trouble” in “their dioceses” he didn’t mean for one to practice the Catholic Faith. Does this sound Catholic to your ears or Protestant? We will conclude this post with an observation. Francis is an occultist. In the Renaissance, occultists/alchemists were obsessed with two things: 1) the unity of opposites; and 2) the law of inversion. Here we have Francis trying to alchemically unify two opposites — the Catholic Church & the Lutheran churches — as well as invert the teachings of Our Lord Jesus the Christ — through the issuance of the stamp. 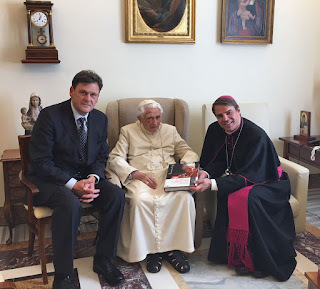 This should come as no surprise from the man who has already inverted the hierarchy of the church, celebrated Martin Luther on the 99th anniversary of the sixth apparition of the Blessed Virgin Mary at Fatima, and is actively seeking to invert the Sacrament of Marriage. 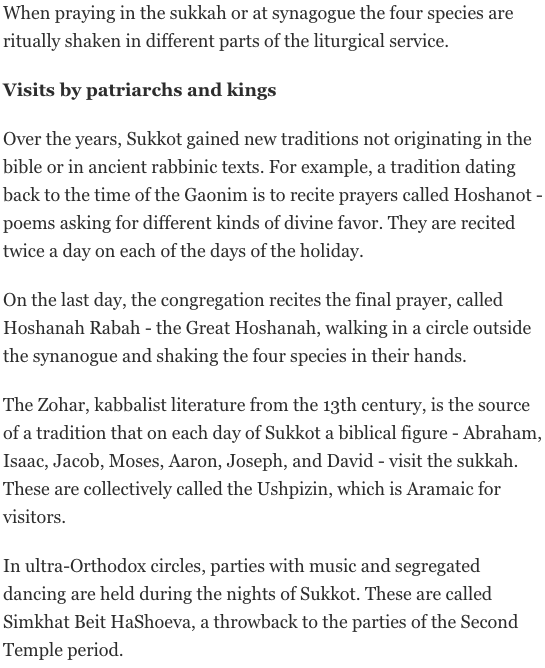 It’s fitting all this is also happening on the secular holiday of Halloween which glorifies the hideous and wicked while inverting the Vigil of All Saints’ Day, with its fast and abstinence, as children gorge themselves on candy and adults drink alcohol to excess. 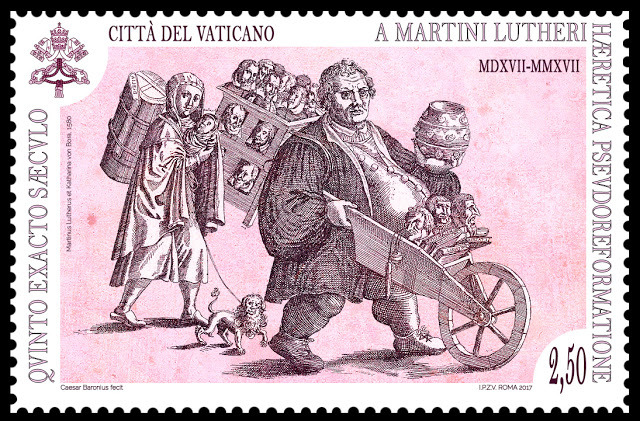 What more perverts the Feasts of All Saints’ Day and All Souls’ Day and the holy religious activities that surround them than Francis and his behavior? Halloween and laughing at the macabre joke he pulled off. 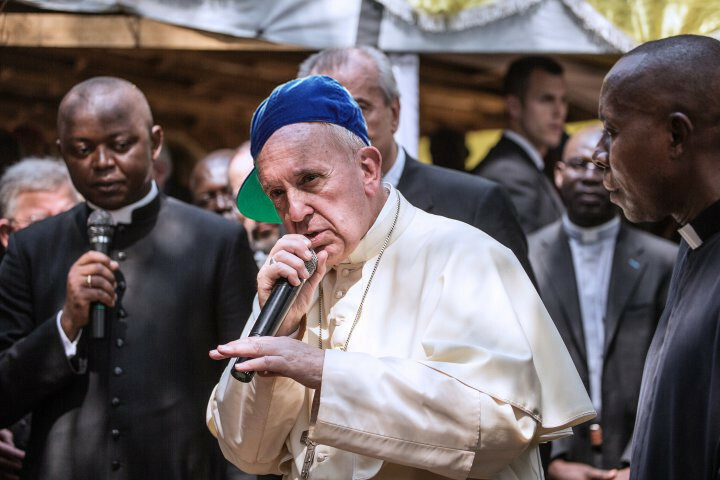 Is Francis beatboxing or rapping? 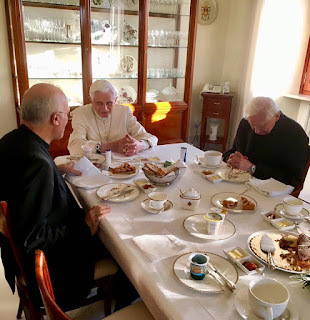 Francis doesn’t make the time to answer ‘dubia’ and ‘filial correction’ but his stooges do! 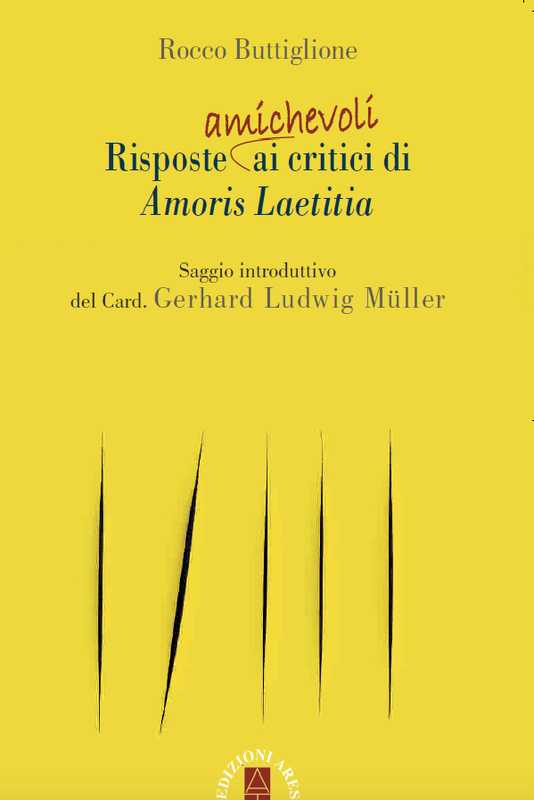 All will be answered, on November 10th, in “Risposte amichevoli ai critici di Amoris laetitiaˮ (Friendly answers to the critics of Amoris laetitia). 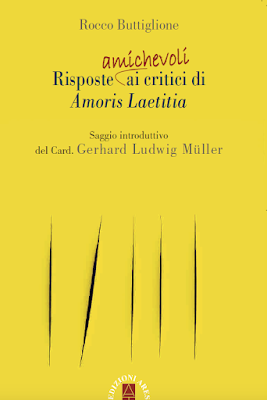 Written by professional academic and politician, Rocco Buttiglione, with introductory essay by Cardinal Gerhard Ludwig Müller, Prefect Emeritus of the Congregation for the Destruction of the Faith. The old adage says one shouldn’t judge a book by its cover but let’s make an exception in this case. Fives slashes in yellow fabric represent, what could it represent? 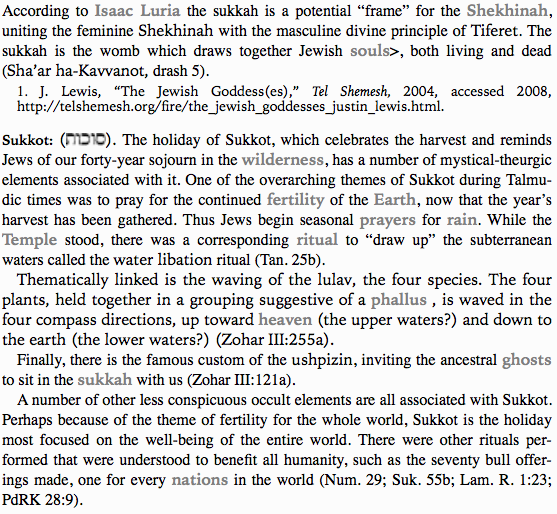 The five dubia? 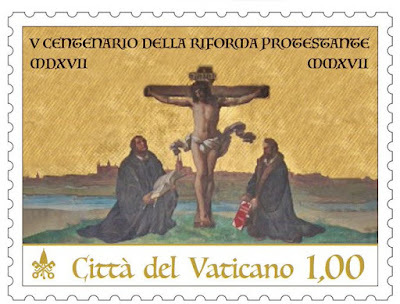 Tears in the papal color of yellow? 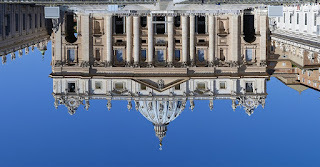 A coming schism? Curial cardinal Gerhard Ludwig Müller does not rule out admitting remarried divorcees to Communion “in extreme individual cases”, according to media reports. Although a general admittance to Communion for such members of the faithful could not be granted, in specific cases there could be “an admittance in the realm of conscience”, the leader of the Vatican Congregation for the Doctrine of the Faith said in a conversation with “Focus” magazine. 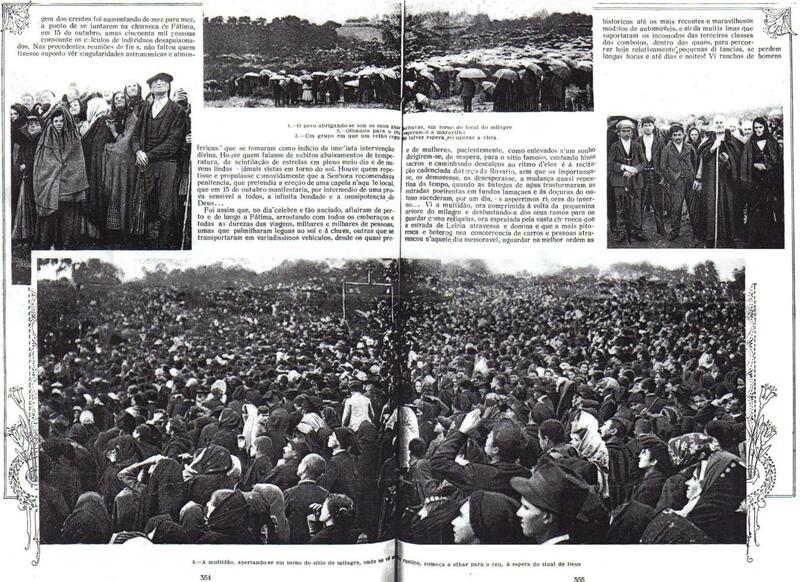 This was also the view of John Paul II’s 1981 document “Familiaris consortio” (n. 84), according to Muller. “It is possible to think further in this direction”, the German cardinal said. 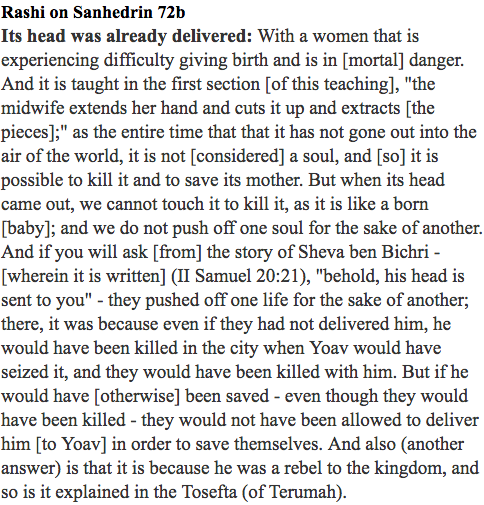 In any case one would have to proceed in accordance with “theologically justifiable perspectives”. As prefect of the Congregation for the Doctrine of the Faith, Cardinal Muller is participating in the world synod of bishops currently in session. 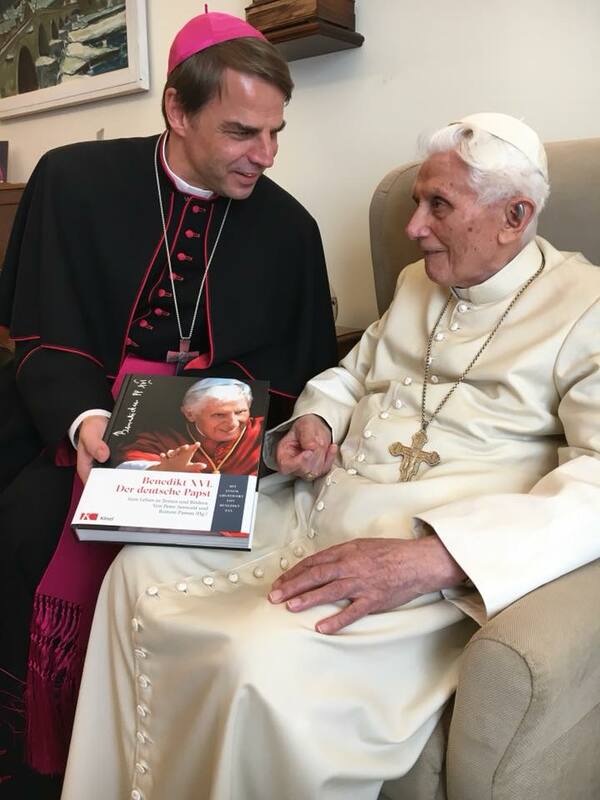 He is part of the German language group, in which are represented nearly all synod participants from Germany and Austria, among them Cardinals Walter Kasper, Reinhard Marx, and Christoph Schönborn. “They don’t know that it’s indissoluble, they don’t know that it’s for your entire life. It’s hard,” the Pope said. source: Call Me Jorge..., Francis says most marriages are invalid because couples don't understand their wedding vows! How many video messages does Francis make in a day? Loved by the profane, despised by the sacred. 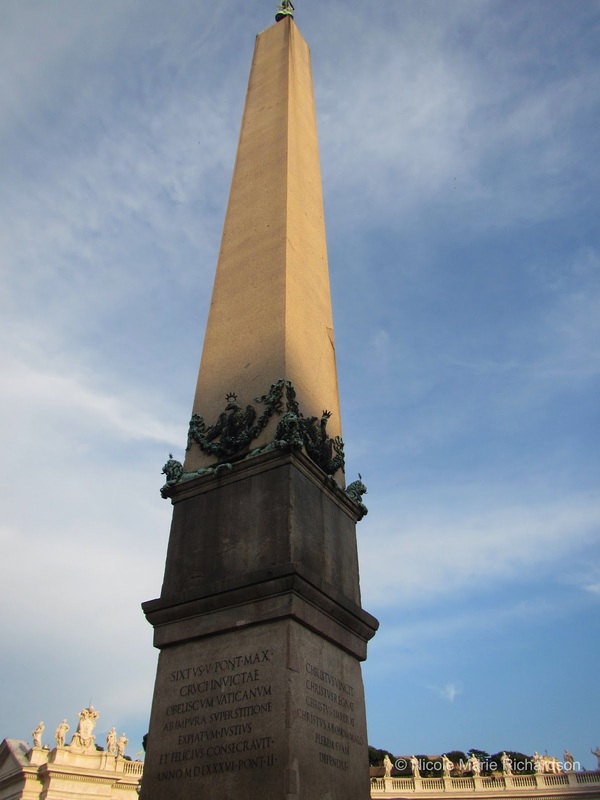 Caligula’s Obelisk sits in St. Peter’s Square. 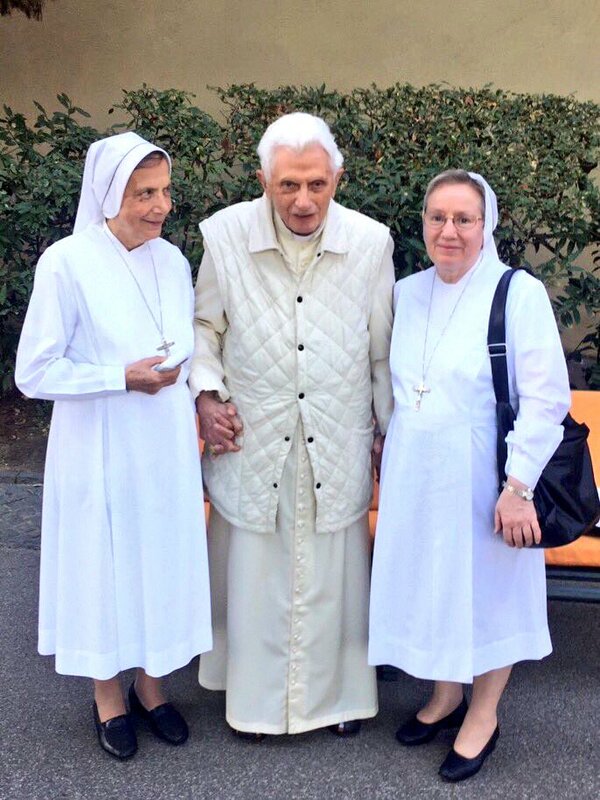 Rumors swirled around in the last week of Benedict XVI’s failing health, so much so that Vaticanistas in the press corp loyal to the German called it #fakenews and began circulating photos which they said demonstrated Benedict’s good health. Holy See Spokesperson and Opus (Ju)Dei’s Greg Burke tweeted this photo. Many in the Vatican press corp shared this recent image. Compare the above video with the one below and tell us if you see an old man whose health is improving or one that’s in a steady and slow decline. 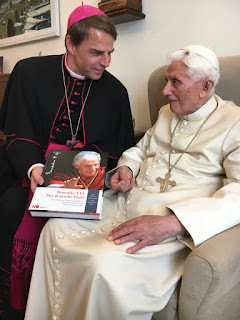 Looking at the photos, one can see that Benedict XVI isn’t in good health. 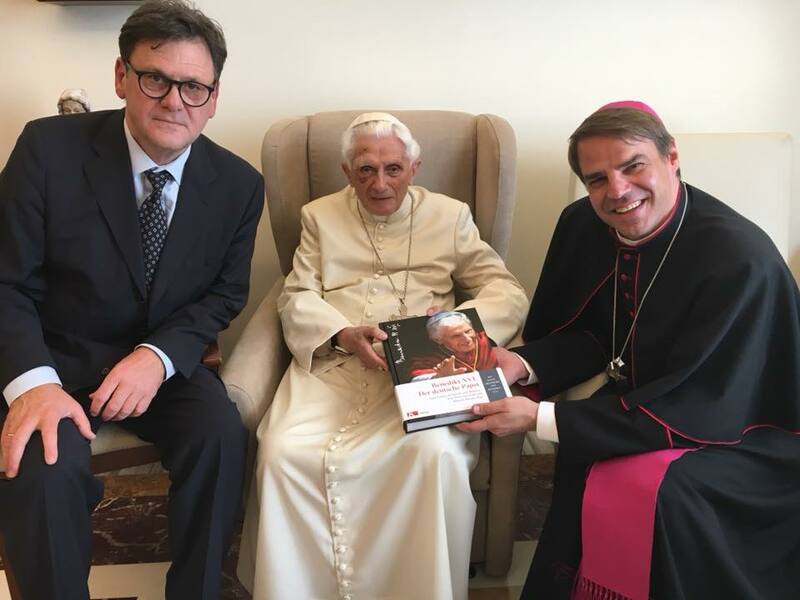 Not only is he sitting in all the photos, he hasn’t the strength to hold up the book, Benedikt XVI - Der deutsche Papst. This is proof of the old adage that something is true when it is officially denied. 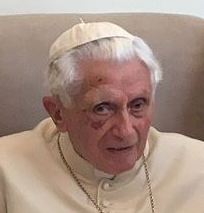 One hopes and prays that Benedict XVI makes a true act of contrition, for all the destruction he has unleashed upon the church and the countless number of souls he has put on the road to perdition, while he still has time left. We, at Call Me Jorge..., couldn’t believe they found German children to make this video. Germany in 1995 had 1.25 births per woman most recently, in 2015, has shown an increase to 1.50 births per woman only because of the arrival of Moslem ‘refugees’ (aka conquerors). This is still below replacement level. Please pray for these poor children and the country they live in. 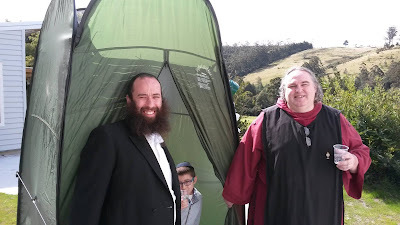 Dr. David Berger shaking hands with his fellow Talmudist after this ‘miracle’. How many books on Talmudic Judaism does Francis have in his personal library? Do not let your youth be stolen from you. Do not allow anyone to slow and obscure the light that Christ puts in your face and in your heart. Be weavers of relationships signed by trust, by sharing, by openness even to ends of the world. Do not raise walls of division: do not raise walls of division! Build bridges, like this extraordinary one that you are crossing in spirit, and that links the shores of two oceans. 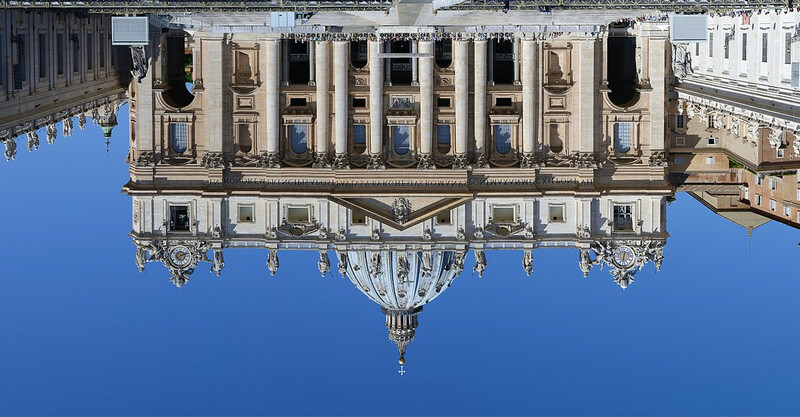 You are experiencing a moment of intense preparation for the next Synod – the Synod of Bishops – that concerns you in a particular way, just as it involves the whole Christian community. In fact, its theme is “Young people, faith and vocational discernment”. I also want to remind you of Jesus’ words, those He said one day to the disciples who asked him, “Rabbi, where do you live?” And Jesus answered, “Come and see.” Jesus also turns His gaze on you and invites you to go to Him. Dear young people, have you encountered this gaze? Have you heard this voice? Have you felt that impulse to get up and be on the way? I am sure that, although din and dizziness seem to reign in the world, this call continues to resonate in your soul, to open it to full joy. 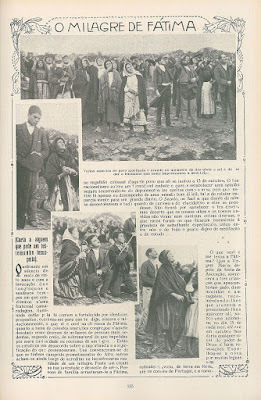 This will be possible to the extent that you, through accompaniment of expert guides, undertake an itinerary of discernment in order to discover God’s plan for your life:, yours, yours, yours, and yours – the plan He has for the life of each one of you – even when your journey is marked by danger and missteps, God, rich in mercy, tenders His hand to pick you up again. These words – I wrote them in the letter I sent to all the young people of the world on January 13th of this year, precisely in order to present the theme of the Synod. 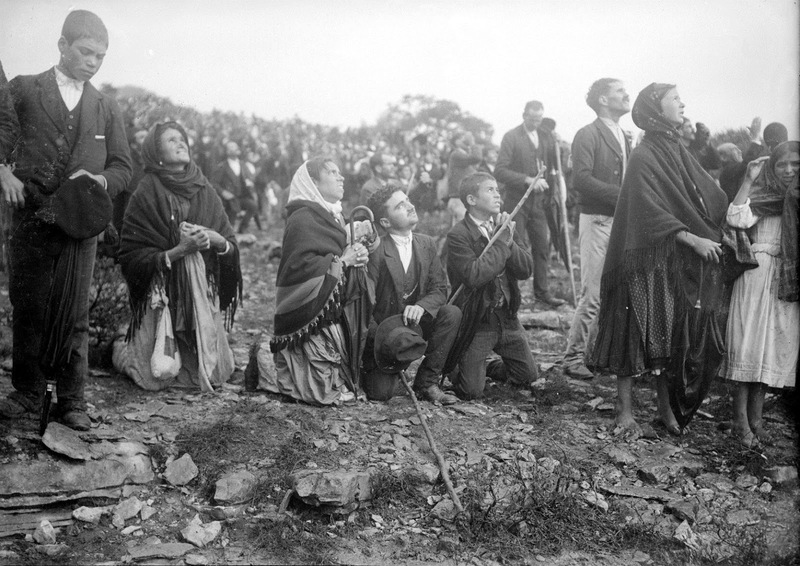 The world, the Church, are in need of courageous young people, who are not cowed in the face of difficulties, who face their trials and keep their eyes and hearts open to reality, so that no one should be rejected or subjected to injustice or to violence, or deprived private of human dignity. I'm sure your heart – a young heart – will not be closed to the cry for help of so many of your peers who seek freedom, work, study, a chance to make sense of their lives. I count on your willingness, your commitment, your ability to face important challenges and dare to make the future, to take decisive steps along the path of change. I bless you, I embrace you, and I greet you with affection while I ask you, please, to pray for me, so that I may be a faithful cooperator with your joy. Thank you. ...and remember to make a mess! 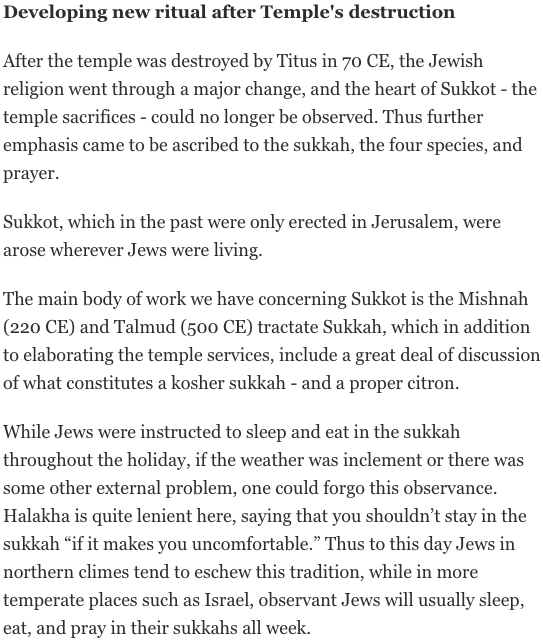 Thanks to Henry Makow for bringing this to our attention! 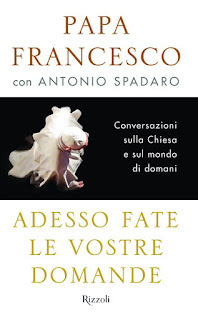 Tomorrow another (we’ve lost count) interview book with Francis will be released in Italy. It is titled, Adesso fate le vostre domande (Now, ask your questions), and subtitled, Conversazioni sulla Chiesa e sul mondo di domani (Conversations on the Church and on the world of tomorrow). Finally, Francis explains that interviews are really encounters with the public, “I need to have this communication with people. I have a true need of this direct communication with people. Giving an interview ... means having an encounter with journalists who often ask you questions taken from the people.” Besides the newly written preface the book consists of eight interviews and Q & A sessions: the 2013 interview with Antonio Spadaro; the 2016 interview with Ulf Jonsson; the 2015 dialogue with Jesuits in the Philippines; and the 2016 dialogue with Jesuits in Poland. One can be confident that Francis will not directly answer any of the five questions sent to him by the four cardinals (Caffarra, Burke, Brandmuller, and Meisner) inbetween the covers of the book. Once again Francis shows that his words are hollow and he is an echo chamber of hypocrisy. 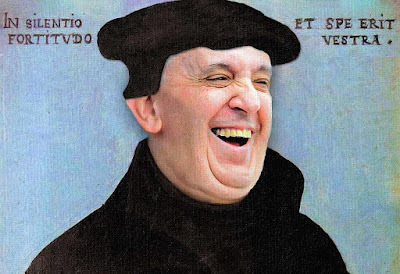 Nothing symbolizes a ‘Potemkin Papacy’ better than a cardboard Francis. 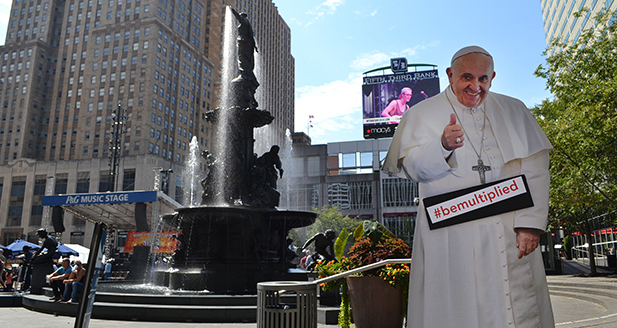 *Francis doesn’t believe Catholics should #bemultiplied, only Talmudists. 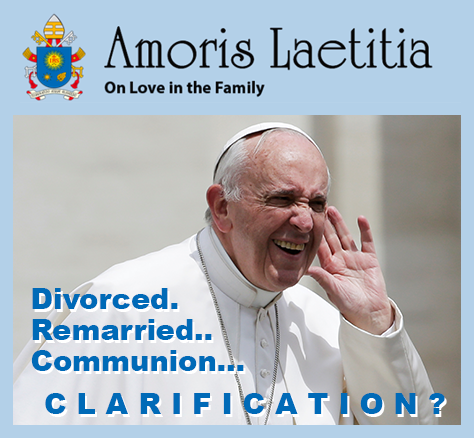 Francis spoke about ‘Amoris Laetitia’ in Colombia. 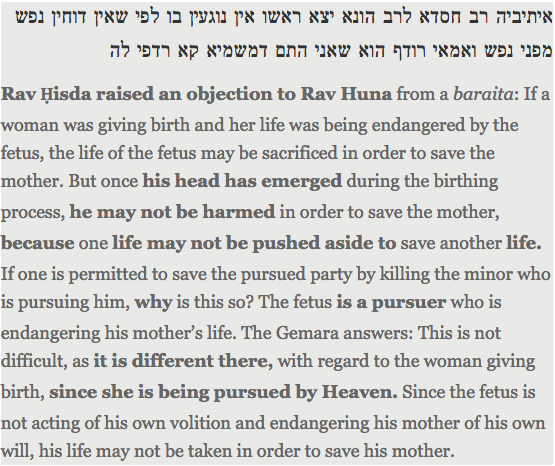 Was it because the “Filial Correction” was weighing on his mind? 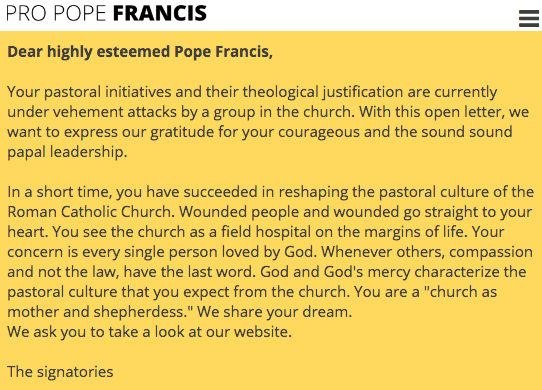 when Francis takes it up another notch with his agenda of married priests. “Pursuers come in all shapes and sizes. 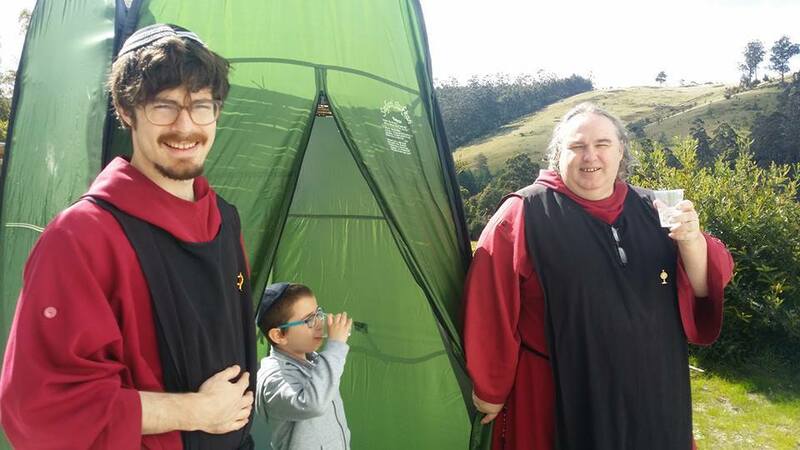 They can even be Judaic children. 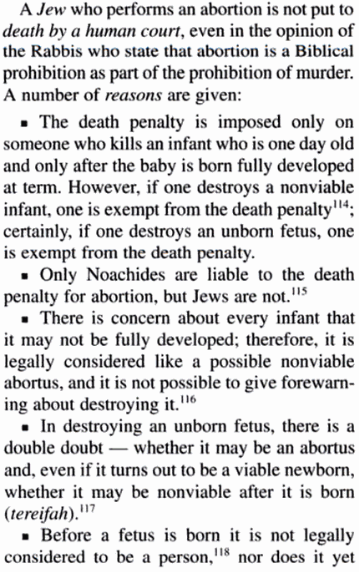 Americans have often expressed dismay and amazement at how, in 1973, the U.S. Supreme Court did not only legalize abortion at 12 or 16 weeks gestation. 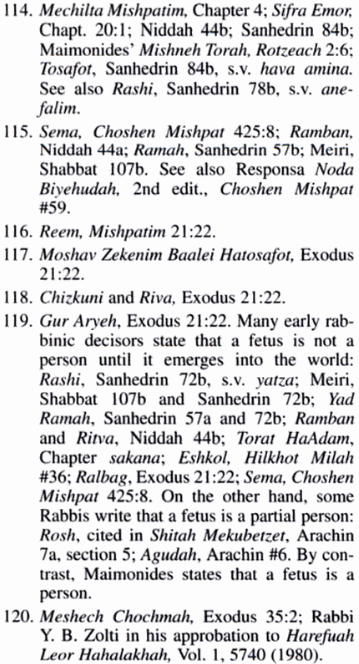 The Court, in conformity with the Talmud, legalized abortion on demand at any time during the pregnancy, including a few minutes before the baby is born. 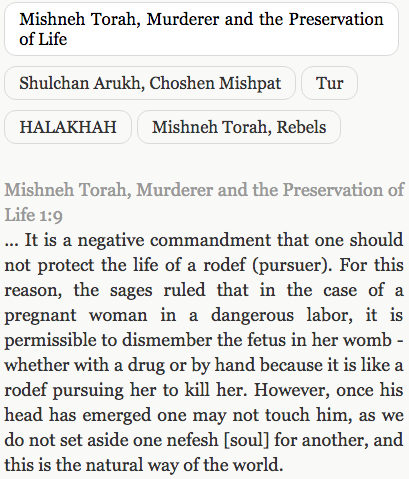 This abominable crime is permissible in those lands where the Talmud exerts dominion. 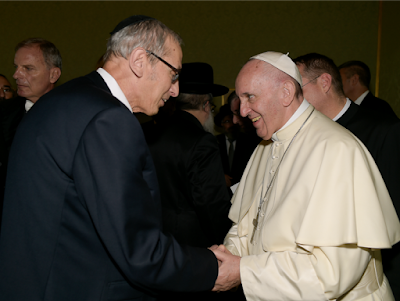 *Keep in mind that the editor of the Encyclopedia of Jewish Medical Ethics, Rabbi Avraham Steinberg, M.D., was appointed personally by Francis to the Pontifical Academy Of Life on 13 June 2017. 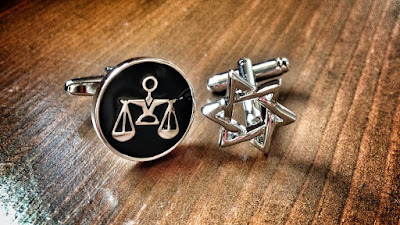 This appointment of a Talmudist and Francis’ near silence on abortion tells one all they need to know about the direction the Novus Ordo is heading. 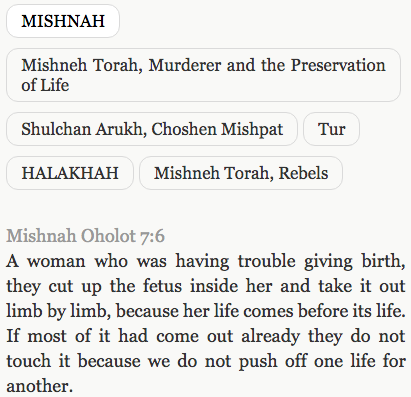 For additional information see, Life and Potential Life: Abortion in Jewish Tradition. 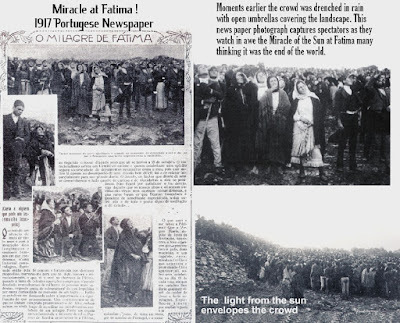 On October 12th, 13th, and 14th at midnight the facade of the Basilica of Our Lady of the Rosary at Fatima in Fatima, Portugal was profaned with a light show. Titled, Fátima — Tempo de Luz (“Fatima — Time of Light”), it was reminiscent of the Fiat Lux which profaned St. Peter’s Basilica on 8 December 2015. The multimedia light show purports to tell the story of Fatima over 100 years in seven scenes. This is how the Novus Ordo choose to commemorate the Centenary of the 6th Apparition of the Blessed Virgin Mary at Cova da Iria and the Miracle of the Sun. Below is a preview of this multimedia extravaganza. 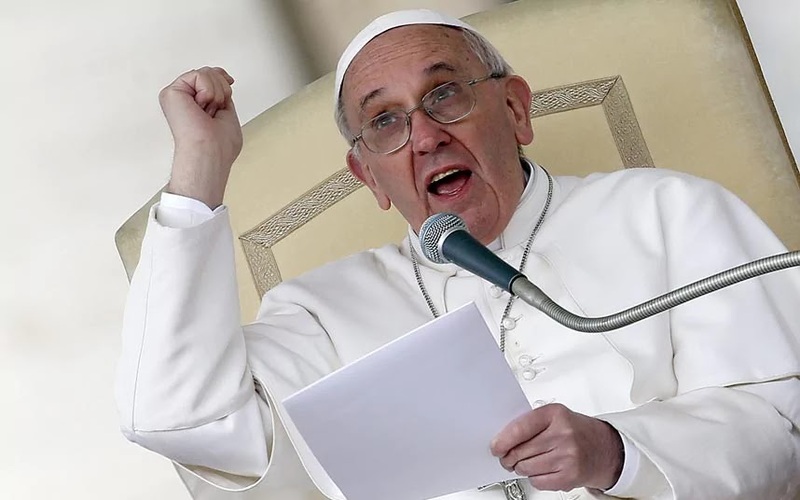 Look for Francis, ‘the bishop in white’, at the 7 minutes and 51 seconds mark. We leave the reader with one question... Is nothing sacred any more? Mary’s Fatima Message (Peace Prayers and Fatima) by Lawrence G. Lovasik, S.V.D. 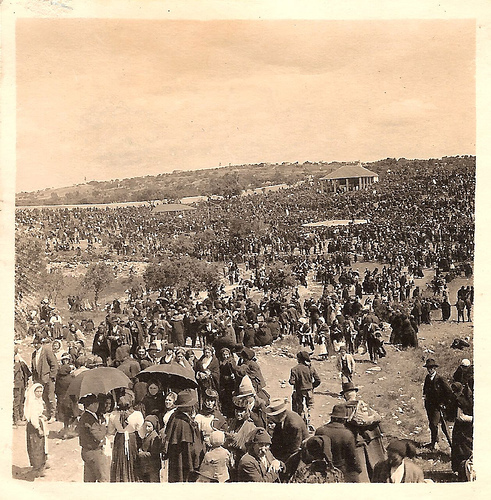 Novena to Our Lady of the Rosary of Fátima by Rev. 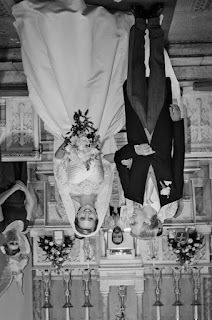 William J. Smith, S.J. 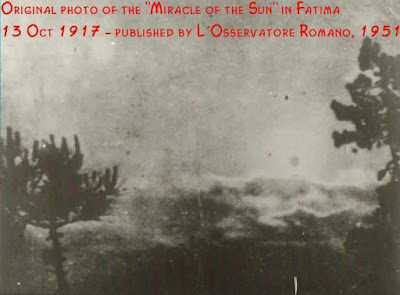 Our Lady of Fatima novena by Rev. Daniel A. Lord, S.J.